The purpose of this article is to help Magic players and vendors to understand the issues inherent in the current PucaTrade marketplace model, as well as to examine some potential solutions to the underlying issues with the aim of achieving a sustainable and profitable trading platform for all. PucaTrade hit the scene in 2013 with a unique value proposition. Rather than launch yet another e-commerce operation aimed at selling cards, PucaTrade took aim at reinvigorating the flagging trading scene in an era where smartphones and ubiquitous price matching were slowing the pace of face to face trading. At its core the premise of the platform was brilliant in its simplicity: allow players from anywhere in the world to trade cards directly in exchange for trade credit that could then be used to “pay” for an incoming trade from another player. To facilitate the value storage necessary between the two trades, the PucaPoint was established, and card values were ultimately linked to the prices found on TCGPlayer.com. PucaTrade’s method of facilitating trades between 1,000’s of traders created a lot of excitement among players, especially overseas, and in areas where trading partners were scarce or smaller towns without many retail options from which to acquire rarer cards. Over the last three years PucaTrade has grown into a popular platform for both players and vendors, but despite being used by thousands, it is often misunderstood. In order to entice new users to join the platform and ensure a pool of available currency to fuel trades, PucaTrade has long held a policy of issuing between $5 and $10 (on average) in freshly minted PucaPoints to each new user as they register and recruit additional members. It should be acknowledged that by many measures PucaTrade is a growing and valuable platform, through which thousands of cards exchange hands successfully. Sadly, currency currently being issued without value exchange is a risky growth vehicle, and the current scenario is not sustainable without change. In the context of our exploration, a currency can most easily be defined as a method of storing value for future use among the participants in a marketplace. “buy” cards, an event that triggers when one user (the seller) identifies a card on another user’s (the buyer) Want List and decides to send it out in the mail. The points are immediately removed from the buyer’s account but are only permanently assigned to the seller once the buyer confirms that they have received the card(s) in question. As some traders have paid for upgraded accounts that can (among other benefits) directly send each other PucaPoints freely, in theory they can be exchanged for any other product or currency. In practical terms however, PucaPoints are mostly used to acquire Magic: The Gathering cards. Less frequently, Pucapoints are sold to other users, typically because the seller was unable to acquire cards they wanted, or at least unable to acquire them quickly enough. In doing so, the point seller elects to sacrifice some value in order to get back to a liquid position where they can purchase anything (via USD or other hard currency). It is important to note that PucaPoints are minted out of thin air and issued to new users at virtually no cost to PucaTrade. Because no value is exchanged for these points, the resulting marketplace is naturally inflationary, and the value of the PucaPoint has continued to slowly drop against the USD as inflationary pressure has built up over time. Put simply, more points are in the system than are needed, and this makes the holding of PucaPoints increasingly less desirable than holding hard currency. It is critical to the proper functioning of the PucaTrade platform that players and vendors looking to trade cards into hard currency can rely on the platform to provide the liquidity required by users that need to move into cash or more valuable cards quickly and efficiently in order to be motivated to continue trading. This is not currently available and it is causing problems in the market. In his recent article on PucaTrade, site founder Eric Freytag discussed “How PucaTrade Manages Point Supply“. In the article Eric references the change to issuing “free” PP as the main cause of subsequent increases in trade “velocity” on the platform. This suggest that PucaTrade has misidentified the source of their troubles and consequently delayed the roll-out of solutions to the threat that “pucaflation” (the declining value of PucaPoints when purchasing cards) represents to Puca’s long term survival. To put it in simple terms, PucaTrade gave away free money that could only be spent on Magic cards. Puca now believes that the benefits of the resulting trades were caused by more “points in the system”, when in fact this is not true. In fact the current circumstances represent a completely unsustainable process without the introduction of release valves to excise some of those “free” points from the system. Notice how trades decrease at three different points in 2015 at the same time that new sign ups drop off? This strongly suggests new registrants free points are contributing significantly to maintaining the velocity of trading. Here we see that the points per capita steadily grew over the same period that trades were oscillating up and down. So if “points in the system” are the driver of activity why was the points per capita metric having no positive effect on the total number of trades? In fact, what PucaTrade actually achieved was a cycle of short term active traders. If you go through their entire article and replace each instance of “supply of points” with “active traders” you will see what we mean. PucaTrade does not seem to understand that the number of active traders, not “points in the system”, is the single most important driver of the health of the Puca economy. At present this error is still being compounded. Freytag talks about points per capita as an important metric that they constantly review. He even includes a chart showing that per capita points spiked in 2014 with the creation of the sign up/referral bonuses and that it has been steadily rising ever since (currently about $9.50 per account). The points per capita stat is largely inaccurate. Because PucaTrade focuses on “points in the system” instead of active traders they fail to properly focus on the large difference between the contributions of active trading accounts vs latent or abandoned accounts. But if we introduce the assumption of some reasonable percentage of “dead” accounts (accounts that are not trading or at least not sending cards) that immediately raises the amount of Pucapoints per active trader in the economy to a more telling figure. To clarify, if there is $9 per capita in PP, but 25% of accounts are essentially inactive, that raises the avg PP per active trader by 33% to $12 based on the assumed level of trades (250,000, an estimate from their charts), and the estimated number of traders (north of 200,000, again based on their charts). If we assume that the average active traders are actually sending 4+ trades/month, then 3/4 of all accounts may in fact be inactive. That would put the Pucapoint per capita of active traders at $36/each! This is well over their own estimates of what constitutes a healthy scenario. Freytag himself even references the need to target $8/user and to keep the per capita under $9, a range that they have almost certainly already broken (How PucaTrade manages point supply). By focusing on the wrong point supply calculation, instead of providing appropriate point sinks and incentives for power sellers, they are focusing on the wrong side of the equation. In defense of the “pucaflation” situation Freytag mentions that trade times (velocity) stabilized in the winter of 2014/15 and gives credit to the additional points being created. This assertion seems to ignore that this period also saw new accounts spike by 500% and the number of total traders suddenly became quite a bit larger (and all those new members had cash to spend thanks to those PucaTrade new user bonuses). Let’s not forget that the vast majority of PP are created as incentives to join and were not purchased by users (per Freytag’s Brainstorm Brewery interview). As such, the PucaTrade economy cannot grow without having to have fresh PucaPoints constantly pumped into the system, and this process will not be sustainable, since that process only delays rather than solves the root sources of “pucaflation”. Freytag also details that inflation was encouraged by consultants or team members to address their worries about deflation (points going up in value) . This demonstrates a fundamental misunderstanding of the nature and conditions of potential PucaPoint deflation. Since PucaTrade can sell points to users at $1/100 points at any time, no amount of deflation would ever allow PucaPoints to rise in value above that price. This is because no one would ever pay more to another member when the site itself has created a hard ceiling. What about the number of trades? Freytag promotes the number of total trades growing exponentially over the last few years (source: Puca’s Twitter account). However, this stat is proof only of PucaTrade’s success in growing its user base. The number of avg trades per day has actually grown much more slowly than the user base. Freytag’s charts (see above) show that they first broke 5,000 trades a day in the spring of 2014 after the creation of PucaPoints was ramped up and are currently sitting at about 8,000 per day as of this spring (“How PucaTrade manages point-supply). Note that there are peaks as high as 15,000 at the release of BFZ. This is a 60% increase, and a great increase for sure, but hardly what could be labelled as exponential growth where it counts. According to Freytag there are over 250,000 members and they are currently signing up about 285 people a day. That means at the same time they are creating 200,000 points every day, or about $61,000 in free money per month. ( as per “How PucaTrade manages point supply”). This constant stream of new points, being introduced without a commensurate exchange of value, leads to the big problem: the devaluation of the PucaPoint against hard currency like the USD. Inflation is most easily defined as a reduction in the purchasing power of your currency against the basket of goods you aim to consume. If $1 this year buys a loaf of bread, and next year that same loaf costs you $1.10, than you have experienced inflation, because your money is buying less product per unit of currency spent. Similarly, if acquiring a card on PucaTrade increasingly requires you to sweeten the pot with a bonus expressed in points, that too is evidence of inflation. What is commonly referred to as “pucaflation”, is actually caused by a depreciation of the pseudo-currency against hard currency due to an overabundance of points in the system that have not been exchanged for value and have no method of release. This fact is currently obscured by the fact that PucaTrade does not allow the value of cards expressed in PP to be set by the market actors. Remember, because the card values on PucaTrade are tied to TCG pricing in USD, the card to PP exchange rate is relatively consistent with US retail pricing on the cards, at least on paper. Nevertheless, the PP bonuses (aka bounties) that many Puca users now offer sellers above the platform suggested card price are an early warning signal of inflationary pressure. Generally speaking a properly functioning market will allow the market to set the price of the good via bids and asks on either side of the average transaction strike price. After all, a bounty is nothing more than a high bid against the average ask, and is a perfectly natural mechanism of a healthy marketplace. Ebay for instance has long made use of a bidding system, as well as a Best Offer system that allows buyers to explore a seller’s willingness to sell for less. The stock market is also an excellent example of a high functioning bid/ask driven marketplace. That being said, we believe that were PucaTrade to suddenly allow their users to establish the price of cards via a Bid/Ask system, inflation would become immediately apparent across the board. Eg) A card is $50 on TCGPlayer.com and PucaTrade (engaging in a form of price fixing) lists the card’s value as 5000 PP. To incentivize a quick sale from a vendor or power seller with an interest in exiting to hard currency, the user offers 6000. Points can be purchased at .60 USD/per 100, so the cash value of 6000 points is $36. The buyer has saved $14 vs. the price of the card at retail, but ONLY if they can find a seller who doesn’t understand the mechanics at work or values the trade value of the PP over the cash. The fact that retail sales typically carry a fee structure of up to 15%, resulting in a retail gross after fees of roughly $43 on a $50 card contributes to the willingness of the seller to engage. It is important to note that so far, for many users, “Pucaflation” is a non-obvious issue, at least so far as the value of their PucaPoints is concerned. If you are a purist trader, sending out cards and receiving cards with no intention of ever exiting to hard currency, than the platform functions for you without any obvious loss in value day-to-day. You send some cards and you get some cards, and if the cards you receive are of lower quality or take slightly longer to get sent over time, you may not notice as quickly as the traders looking to exit to cash or high value cards as fast as they can. Nevertheless, the lack of point sinks put in place to erase the free points being handed out at registration are slowly dragging down the potential velocity of the marketplace. Left unchecked, this process will increasingly affect even trade-oriented users by extending the wait times on receiving desired cards; in effect punishing their investment with a negative rate of return (because of the opportunity cost of not investing your money elsewhere and the continual slide of the PP against hard currency). Can the PP ever hit 1 to 1 with the USD or go above? Not really, because the price of the cards on the platform are pegged directly to US retail prices, and the USD will always be the more convenient and liquid of the two currencies. As such, as with MTGO Tix, the PucaPoint will necessarily be the lesser, if only by a slim margin in a best case scenario. It should also be noted that there have been claims from some observers that PucaTrade is a essentially a pyramid scheme. We are happy to report that this is simply not the case. While the aspect of recruiting new traders is somewhat similar to Pyramid Scheme, and the risk of “last man in loses” is also present, PucaTrade does not feature a cascading multi-level benefit process that would help earn such a slight. As such, unless the PucaTrade owners are adding free points to their own accounts (and we have no reason to believe that they are) there isn’t an “upstream” pyramid in play. Now while PucaTrade is not a pyramid scheme it does require the same type of constant growth to survive under the current system of point distribution and management. The growth of transactions on the platform via the constant recruiting of new traders is a key reason why the platform has not yet collapsed under its own weight. However, if the drag of more and more sellers leaving the system overtakes the number of new players joining PucaTrade you will have the potential for a collapse similar to that of a pyramid scheme, with thousands of users trapped holding worthless PucaPoints. No release valves means inflationary pressure. Period. Since PucaTrade has not yet launched a way to remove PP from the economy, the quantities of the virtual currency for sale will continue to grow faster than the trade volume of the growing user base. Just as with Magic itself, there is a constant stream of players quitting the platform and abandoning their points. Since we know that the PucaTrade economy isn’t functioning properly this statistic will tend to grow on a parabolic curve. It is perhaps important at this point to establish the mechanisms of inflation. Let’s say that the your local government gave every customer $100 in GasBucks for free. These GasBucks can only be used to purchase Gasoline from your local gas station. Clearly any rational consumer will prefer to use these GasBucks instead of their hard earned dollars to buy gas on their way home from work. What is most likely to happen to the price of gas in your neighbourhood in the presence of this new currency? Well, since there is an abundance of GasBucks most gas stations can (and will) raise the price of gas without upsetting people because everyone has GasBucks to burn. There is more money supply, suddenly competing for the same goods, so prices will naturally rise. What about the exchange rate of GasBucks to USD? Well clearly GasBucks are worth $1 when purchasing gasoline but are worth $0 in every other scenario. There will eventually be people who find themselves with no use for GasBucks, but a persistent need for real dollars, and they will seek opportunities to sell their GasBucks for USD. In theory GasBucks can be exchanged for anything of value, but since they are less useful than hard currency, the number of people looking to trade a bike for GasBucks when they could have just sold it for dollars will be low. Buyers will always pay less than $1 for GasBucks as they have very limited use, and because USD can also be used to buy gas, along with everything else. Now imagine if we continued to add more GasBucks all the time to a market that was already buying them below face value. With supply outpacing demand, the value of the Gas Bucks expressed in USD falls further and further. Now let’s imagine that the same gas station above suddenly allows Gas Bucks to be used to purchase drinks or candy? Voila. They have introduced a new release valve (point sink) to the market. The number of people who will have use for GasBucks increases immediately and the value of the GasBucks against the USD will increase as demand rises and arbitrage opportunities arise (buying food at a discount via the purchase of Gas Bucks, etc). This is the kind of option the PucaTrade platform desperately needs to achieve balance in the marketplace. Currently, as new users are added, they each receive an allotment of PucaPoints so that they can get their first “free” card in the mail, and confirm that the system works. In theory, that user then begins to send out more cards and becomes a happy and productive participant in the market. However, these “free” points actually represent an indirect transfer of value from the market to the owners of the site. In issuing the points, PucaTrade gains the benefit of more market action and an assumed increase in paying users, assumably leading to revenues and profits once they recoup most of their development costs. The cost of this benefit is later felt by the site users, as points are added to the system without the value of a card being sent to balance them. This process, more than anything else, has lead to the devaluation of the PP against hard currency. Put simply, points get less desirable, and hence cheaper, the more they are issued without an exchange of value within the marketplace. PucaTrade expends $0 to generate new points, so their value is extracted instead from the participants within the market in which they are injected, largely through the devaluation of the currency (PP) in use to temporarily store trade credit. Oddly enough, the value of the Pucapoint is pegged at exactly 1:1 against the USD, but again, this is only acceptable, if you are happily trading into cards without requiring a liquidity event and you are comfortable with the value of cards always being tied to TCG Mid, and you aren’t forced to pay a bounty due to intense competition for a specific card. If on the other hand you are a power seller, vendor or player looking to exit from cards into cash you will see naturally see the value of acquired Pucapoints as being .60 cents on the dollar since that’s the price you can sell them for to another user to achieve your liquidity event. It is also the replacement cost of the points in question, meaning that 5000 points are more cheaply acquired via $36 USD (at .60 exchange to the USD) than by sending out a card that could be sold for $50 retail (potentially minus fees). Since commercial operators are likely the single largest source of steady supply, their motivation to sell is the most impacted by the lack of suitable exits to liquidity. This is the single largest drag on the ability of users to get sent high demand cards, since most vendors would rather sell them easily for cash than risk their value being trapped in PucaPoints they cannot easily exit from. In the end, Pucapoints transferred from one user to another in any way are still trapped within a closed system. To make a real impact on the future of the platform, new points added to the system for free must later be removed. The company has just recently started acknowledging this issue in their communications to the public. The only real question is who should shoulder the financial burden of removing the points. Recently suggested point sinks based on increased account services essentially turn the original issuance of the points at the point of registration into a loan, as the implied value of the “free” points is recouped by charging users for features that could reasonably have been expected to be included in the account packages they have already agreed to. Alternatively, PucaTrade could shoulder some of the burden, perhaps by offering non-account related goods or services that could be purchased with Pucapoints at a profit (eg the introduction of a $6-7 set of high quality PucaTrade card sleeves). We will discuss these opportunities further below. Let’s look at a similar digital currency that understands the need to keep its value close to $1 and has solved both the problems of consumer faith and inflation. Drafts & other value sinks keep the value of the Tix relatively stable. Everyone reading this should be familiar with MTGO (Magic Online) and its online currency, Tix. Tix are roughly the equivalent of $1 of purchasing power within MTGO. It can be used throughout the MTGO economy to purchase both products and services. As with the PucaPoint, Tix can be purchased from the vendor (WoTC) at $1/per and used to purchase (digital) cards through the platform from vendors and other players. The key difference is that Tix are kept in constant demand because they are also used to purchase entry fees for online tournaments. When you purchase a draft or enter a tournament the points you spend “disappear” and are removed from the system (if 1,000,000 tix’s exist and 100,000 are spent than only 900,000 remain). They don’t go into escrow or to other players. They are literally deleted. Wizards of the Coast, the platform owner, sells cards only in the form of packs, and allows both the packs and the cards within them to be traded into Tix via trades with other users, and accepts that the Tix will naturally be sold for cash by some users looking to go liquid (something PucaTrade is now fighting against, erroneously). Tix can be redeemed in the form of card sets as well, and this also removes them from the system. Tix have always been worth a bit less than $1 USD (GasBucks again!) but we’ve only seen a steep drop off in its value a few times due to major sell offs. (The best example was the forced move to Version 4 of the platform software that caused widespread concern and widespread sales of digital collections). However, due to resurgent support for the platform, after each of these drops the Tix economy saw an almost full return in value (to approx .94 cents ) because of the release valves kept constantly in place. Each time there was a crisis of faith in the MTGO community, Tix saw a corresponding drop in price as more people were selling than buying. But each time, the slack in the value of the Tix pulled back as the release valves drained points out of the system faster than points were added. Thus far, each slide in the PucaPoint relative to hard currency has set a fresh hard ceiling on its value outside the platform. MTGO would likely have the exact same inflation problem as Puca except they give away less cards/points than are being removed from the system in the form of drafts and redemption. If there is no “release valve” then you have no way to pull the slack tight on the value of PucaPoint vs. the USD. Remember that the communities faith in the Puca is one of the most important things that needs to be maintained. Without faith you turn off potential new traders who are concerned about sending their cards off in exchange for points that may not get value in return. That in turn leads to negative impressions that feeds the trolls that can get upset that they can’t compete for sending cards or get sent the cards they want. Now, let’s take a look at what happens if PucaTrade prevents points from being bought and sold. (Something they are cracking down on at the same time they are supposedly looking at making bounties official.) In this scenario, anyone who does send cards out but doesn’t get cards sent to them in a reasonable timeframe is left with two choices: leave their account full of points waiting for cards that might never come unless they are not willing to pay bounties , or ask for cards that they really don’t want just so they can “cash out”. Neither of these will encourage traders to send out more cards, which then leads to less active traders. Never mind that this ban on point sales does nothing to stop “pucaflation”. (see details here https://www.quora.com/What-is-a-closed-currency ). In this example the constant creation of points would eventually lead to so many points in the system that they will lose any chance of being equivalent to the USD, allowing a powerful spiral down toward worthlessness. PucaTrade began as a project for the little guy; a way for regular magic players to trade amongst themselves without enduring (some) of the hassles and risks of regular e-commerce. Many of the current thousands of users are prone to fiercely defending the platform as an outpost best run without the influence of vendors and MTG Finance power sellers, mtgfinance speculators and high frequency vendors have actually been hugely positive for Puca. However the moment PucaTrade was launched, it was a virtual lock that the power sellers would gravitate to the center of the action. Ultimately, PucaTrade is just a marketplace and as with all functional marketplaces, economies of scale and scope soon enable and encourage the larger operators to bring their resources to bear in pursuit of profit. While it’s true that the thousands of PucaTrade users can boast a combined inventory that would rival even the largest Magic stores such as Channel Fireball or StarCityGames, there is more to consider. The first thing is the difference between active and latent inventory. Active inventory is comprised of cards that are posted for sale and available for purchase. Latent inventory on the other hand include the millions of cards that are currently sitting in the closets of players across the globe. In short many of the Magic cards printed are out of circulation, whether due to their owner’s desire to keep them, lack of interest in selling or their lack of the time and/or money necessary to sell them. A well managed store inventory or power seller collection however is almost entirely active inventory, as the more successful a vendor is at selling on a given platform, the more they are motivated to expand their sales and properly manage their inventory. Put another way, vendors have more inventory, search for opportunities to sell that inventory more often than the average player, and ultimately, send out many more cards per account. You only need to review the stats on the PucaTrade home page detailing the top sellers to realize that the top thousand users or so are likely sending out a very significant chunk of the total cards. Further, when a card is in high demand, it is much more likely that a commercial operator will have multiple copies and will be able to help facilitate enough sales to keep PucaTrade users happy with how fast they are able to turn their acquired points into needed cards. As such, it is not hard to imagine why engaging commercial operators is of the utmost importance. In the current system, many power sellers hit the limit of points they are comfortable holding without a clear exit strategy (eg $500-$1000) and then stop sending cards until they manage to find a trade that will allow them to profitably spend the proceeds of their dozens of prior trades into the consolidated value of a major acquisition with solid growth potential or the potential for liquidity at retail. Ultimately, traders must have a methodology to “go liquid” and turn their PP back into hard currency since their overhead cannot be paid in PP. While some speculators are happy to simply trade out spiked cards into undervalued ones, this process is inherently risky and most vendors prefer higher liquidity and lower risk. By trading up into high value targets such as Power 9, judge foils and Expeditions, they may have been able to shed excess copies of low cost cards that would not have moved as quickly at their shop and this certainly has some value. However, with PucaPoints commonly going for .50-.60 on the US dollar, and relatively few parties interested in acquiring them at wholesale volume, it is far too easy for the best supply sources on the platform to stall out and be forced into extended periods of reduced trading activity while they search for a liquidity event. The increasing proliferation of bounties being offered on desirable cards (a side effect of both traders/vendors having no reason to send out a constant stream of high demand cards and the slowly sinking PucaPoint value) makes it that much harder to achieve liquidity, and further slows the commercial operators from doing their part to keep points circulating. PucaTrade needs to motivate the traders (both vendors and individuals) to keep sending cards, and the best way to do achieve this is to stop, then reverse, the slide of the PP against hard currency so that liquid exits are once again possible for the most productive supply side actors on the platform. Let us examine the worst case scenario assuming “pucaflation” is left unchecked. There are likely something like 200,000,000 points in the system (250,000 members times the 700 start up points plus referral bonuses). That’s $2,000,000. (If that number is wrong, it’s too low, not too high, so things don’t get better if our figures are off.) Imagine now that the most recent users to register send out tens or hundreds of thousands of dollars in cards to collect points, only to have the site shut down, or some specific event (eg an organized strike of users) takes place that causes users to broadly lose faith and stop sending cards. In such an end times scenario, trade on the platform would slow down, first slowly, and then quite quickly as the inflationary pressures in the system overcame the buoying effect of (now declining) new user registrations. With fewer and fewer users willing to trade into points, a tipping point could be reached where all the points in the system would eventually become worthless with little hope of recovery. The greater the number of points in the system, the greater the number of people caught out by this. We saw a glimmer of the potential for disaster around GP Vegas in the summer of 2015. As thousands of PucaTrade users geared up for sin city they needed cash to fund their trip and related expenses. On PucaTrade the impact was immediate, as we witnessed a decline of approximately 15% in the exchange rate of PucaPoints vs. the USD. 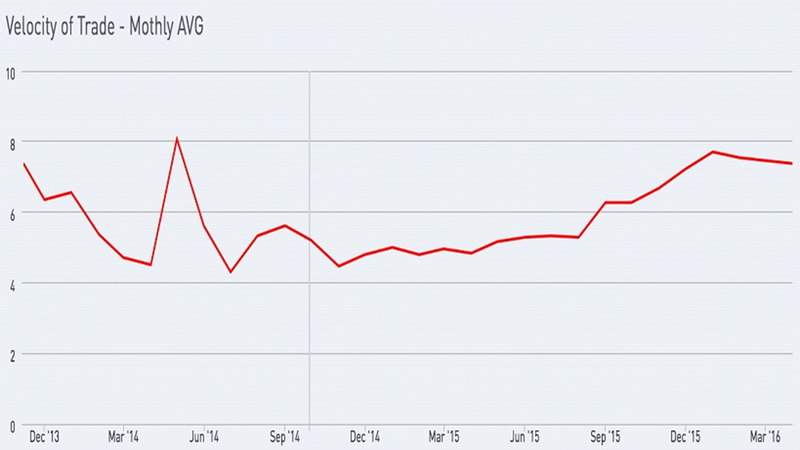 Additional dips in value were witnessed around the holiday season in 2014 and 2015 but the GP Vegas inflection point represented the largest depreciation in PucaPoint value since the launch of the site. Players needed cash and the platform afforded no on-demand method to move into a liquid position, leaving cash strapped players to accept whatever offers were available to unload their points. With supply of points exceeding demand, the fall in the value of points was inevitable. In a properly managed version of the Puca economy, however, the demand for points would have been closer to .90 on the USD, the exits would have been much less painful and any fall in the value of PP to USD might have had a strong chance to rebound as soon as the need to move to liquidity became less pressing. If Puca were to fall off in popularity (we are already seeing a slowing in new accounts creation as per Freytag stats, as well as a drop off in both the frequency and value of trades vs. peaks), and given that new account registrations are already on their way down from their peak at the end of 2015, their plan to reduce new member bonuses without a plan to encourage healthy trading not only works against site goals, but will actually accelerate the slow down of new account registrations. The potential fallout would be measured in millions of USD as thousands of users were left holding a currency no one wants. In effect they will have sent out all of the cards equal to their final point stash for free. Clearly, this is not a desirable outcome for anyone and PucaTrade must move to ensure it never occurs. Now that we have walked through the root of the problem let’s talk over some possible solutions. 1. Target Inflation: PucaTrade must accept that thus far they have not addressed the primary cause of their long term inflationary pressures. PucaPoint supply and deflation are not the core issues that requires attention. Rather, the primary goal should be to achieve equilibrium in the value of the PucaPoint by bleeding some number of Pucapoints from the system, in order to increase the value of the Pucapoint vs. hard currency and prevent a widespread decrease in the purchasing power of PP. 2. Introduce Point Sinks: Since the pool of potential users is ultimately limited by the number of Magic players with interest and access to the platform, constant user growth is not a reliable strategy for managing the inflation in the PucaTrade economy. In order to bleed points effectively they must move to implement one or more PucaPoint reduction strategies or “release valves” (regularly removing points from the system faster than they are added). The purpose of the release valves is to offset the “free” points necessarily given out for free when attracting new users or encouraging positive trade activities . In addressing this core principle, they will be able to re-inflate the value of PucaPoints vs. real world currencies and encourage more users to trade more frequently, as well as attracting new users due to improved public perception of the project. There are several possible solutions, which we will discuss below. 3. Rebuild The Reputation: Earning back the public’s trust back is paramount to the long term growth and success of the platform. Once the quest to increase and stabilize the value of the PucaPoint has been achieved, improving the velocity of trades on the platform, users will have every reason to be happy with the opportunities available through commitment to the site. PucaTrade management need to take advantage of this through a period of sustained promotion, podcast appearances, event sponsorship and/or contests to get the word out and make sure that the users understand how effectively the early stage issues have been mitigated. The fact that the owners have been releasing new features, point sink options surveys and increasing communication flow are steps in the right direction. 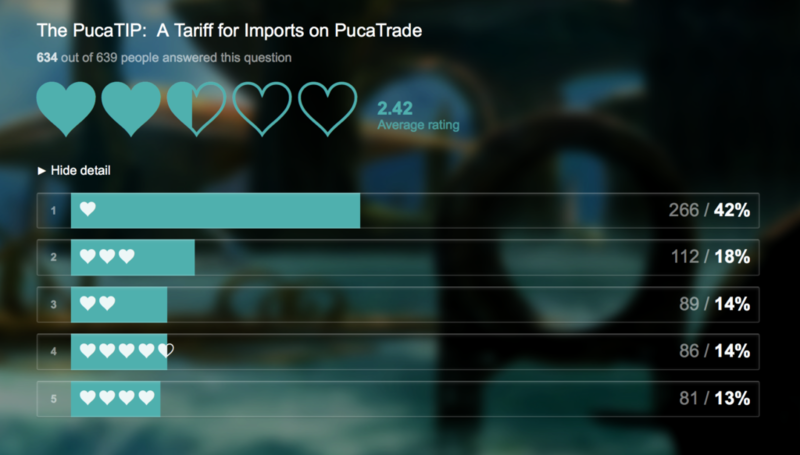 PucaTrade has floated the idea of using PucaPoints to buy shipping insurance on your card. While this would function as a point sink value there are some inherent issues with this solution. If the insurance payout is paid back to the player in PucaPoints than the net removal of points from the system becomes tough to achieve, unless PucaTrade charges more overall for insurance than they pay out. In the insurance industry these kinds of things are managed via fairly complex actuarial tables of statistical probability, but let’s at least assume that PucaTrade can estimate the average value of a trade and the likelihood that a claim will be made. Now let’s assume they charge $1 on a $50 card, or a 2% insurance fee. If that card is destroyed then they need to create $50 in points to replace it (since they don’t want to be caught out having to replace PP with USD, especially given the current exchange rate!). So now they need 49 other people to pay $1 in points just to net 0 change in total PucaPoints within the system. The math on insurance ratios is quite difficult and could mean that they would be raising the price of sending cards which then decreases the value of a Pucapoint. This is a dangerous option, and could backfire if the numbers don’t work out. At first glance this one seems like a no-brainer, but it wouldn’t be our first pick for the reasons above. Note: PucaTrade has posted a follow up on this option, suggesting they intend to proceed with it. 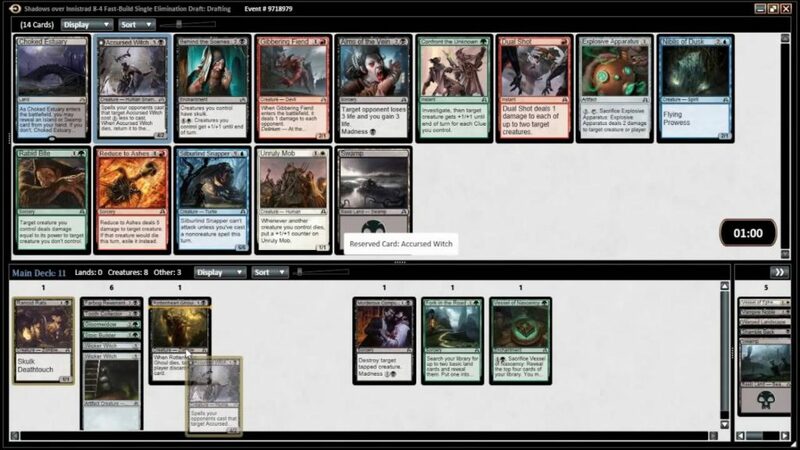 PucaTrade estimates that this escape valve will remove 1.5M PP per month, or about $150,000 in excess money supply. It is currently unknown how quickly this would close the gap on the current slack, but our best estimates place it at months to years, given that new users are still being offered “free” points. PucaTrade has also floated the idea of building bounties into the system as an official feature. This is a horrible idea as just accelerates the current trend of devaluing the Pucapoint. The more inefficient the Puca system is the less likely you are to attract new and active traders. Long term, a bid and ask system should likely be put in place to allow for the most efficient platform mechanics, but we would not advise implementing such a complex system until the core inflationary pressures have been relieved. Another proposed solution is to essentially tax bad behavior on the platform by marking profiles with warning icons that could be remove by paying a fee in PP. Many users were shocked by this idea, and from a PR perspective it is truly a foolish notion. Notifying users of bad actors in the system should really be a core function bundled into all accounts (both paid and unpaid) to avoid perception issues. From a point sink potential viewpoint this solution could work but only if the presence of the “bad actor” marks don’t just end up scaring off those users and leaving you with no one to penalize. If you want a consistent and reliable point sink, and you do, it’s fairly likely that is isn’t where you want to land. This one is a perfectly reasonable point sink. PucaTrade invests some amount of USD to allow for fancy profile pages, and points are siphoned off via what is essentially a tax on vanity or an additional fee to increase sales velocity depending on what features are added. This is worth a shot, but before committing PucaTrade should survey the user base to gauge interest based on the specific features planned. It’s entirely possible that demand for these features will not equal the number of points that need to be destroyed, and as such, further measures are likely to be necessary. A tax on each trade could be levied to bleed off points, but this only adds more friction to the marketplace and disincentivizes trading by making it slightly more expensive. There is likely a fee per sale based version of PucaTrade that could be made to work, but in a system where users are already paying for accounts this is not where you want to be. An inactivity tax could be levied against any account that doesn’t initiate a trade (or certain number of trades) in a given time period. This could be as simple as a small monthly amount or a larger amount a couple of times per annum. Because PucaTrade is a “push” based sales platform where the seller is the party in control of initiating a sale, the fees would need to be levied based on seller activity rather than buyer activity. This would simultaneously draw points out of the system while encouraging frequent trading (perhaps the best indicator of a healthy PucaTrade economy), fulfilling dual objectives. Fundamentally, this functions as a claw back against the original “free” points provided to users who have not earned them through contributions to the community. Oddly, the activity tax proposed by PucaTrade administrators represents the exact opposite of this premise and is likely to work against the system as detailed above. An activity tax punishes the very behavior you want to encourage and essentially raises the price of access to the platform for power users. Another option that could be used to reduce the point totals in the system would be to allow users to upgrade their accounts from uncommon to rare using PucaPoints. This would carry the short term impact of lowering project revenues slightly but could potentially help contribute to a broad effort to make the platform more friendly to commercial operators. Functionally, this should also help convince users to upgrade to uncommon using real dollars knowing that they could then upgrade to the next level when ready using only points. This would also generate a slight upswing in demand for points in general. So far the PucaTrade leadership has demonstrated reluctance on discussing any of these plans that directly impact their bottom line, but it is certainly feasible that this kind of policy shift would be revenue neutral or even revenue positive over time. Other upgrades such as avatars and name changes are a great way to remove small amounts from the economy. Another potential point sink would be the introduction of a physical good that would be of high value to platform users and allow them to exit repeatedly from stalled point supplies. An example of such a good would be a particularly compelling design for a set of card sleeves or a playmat. Though vendors wouldn’t be very interested, they might still reap the rewards of the points being retired if enough users take PucaTrade up on the offer. Because this requires an actual investment on behalf of PucaTrade (in the form of production costs and marketing) it is unlikely to peak their interest, though it is entirely fair to task them with this risk as they are the ones responsible for the current state of the platform, and the potentially devastating end game is no better for them than for their users. Ideally, a good that cost less to make and market than the retail margin that could be charged ($3.50 sleeves sold for $7) would be best, as it would make the project close to revenue neutral short term, and potentially bleed off a significant number of points to the benefit of all long term. This has the added bonus of being something that could easily be turned on or off at will, depending on whether the platform statistics seem to be asking for further bleeding of points. Sadly, many of the options currently under review are unlikely to represent the kind of action the vendors need. There are many ways to properly incentivize the vendors. One possibility would be to figure out a model where some amount of PucaPoints could be “retired” in exchange for site profit sharing. Unfortunately, profit sharing could be legally complex and goes against the general tendency of the PucaTrade owners to embrace non-development/promotional plans that involve real money to steady the ship. In a second scenario, a vendor could retire $1000 worth of points in exchange for PucaTrade providing that vendor a steady income of say $100 worth of points per year. This is a form of “interest” paid in PP. The strength of being able to retire large blocks of points quickly and to incentivize dealers to stay engaged and motivated could help the platform succeed. It’s certainly much tougher to walk away from an active investment than a stalled out account. The specific numbers here are pretty important to get right, and getting this wrong could be a real disaster, but the idea does have enough merit to explore further, if only to better understand the inflationary dynamics this may not solve long term. Allowing vendors to spend points annually to buy the right to be a vendor level account is another possibility. This would be a similar solution to what is seen in World of Warcraft . If this were done in a way that would make them preferred traders for high value cards, this might inspire individuals to send more expensive cards as they would know they are dealing with a PucaTrade approved vendor. Ultimately this is just the vendor version of retirement via account upgrades. Another scenario, and one that would require less financial commitment from the site owners, is to provide vendors with upgraded accounts that get first dibs (say via a one hour window) on Want lists in exchange for points. This makes it slightly harder for the average user to send out smaller cards, but also increases the likelihood that traders will be sent the most valuable cards they want from reliable sources. 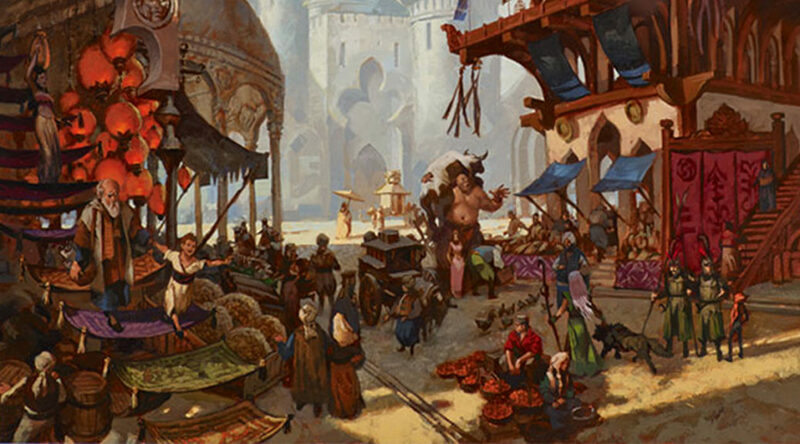 PucaTrade is on the verge of introducing MTGO products into the Puca economy. To be clear, allowing users to buy and sell Magic: Online digital cards through PucaTrade has little hope of alleviating the core inflationary pressures. Offering up a potential exit from PP to MTGO cards does open the door for a liquidity event by trading MTGO cards into MTGO tix, a MTGO specific pseudo currency with a long history of stable exchange in the .90-.95 range against the USD. Eg) Bob sends out $100 worth of cards on PucaTrade at TCGMid pricing. He now has 10,000 PP. Noticing a seller of three MTGO Wastelands (EMA) at 3300 PP each, Bob exits successfully to three digital assets that can easily be sold to MGTO bots and converted into tix that are commonly worth nearly ninety cents on the dollar. This is significantly better than being stuck with PP at .65¢, right? Well, to put it simply it addresses only one of the traders problems. The ability to exit to a near liquid asset does help motivate sellers on the platform to keep acquiring points, and the ability to do so could potentially set up an arbitrage scenario that will briefly increase demand for PucaPoints similar to the release of a new magic set. On the other hand, the PucaPoints in play have not actually been drained off, as they have simply changed hands to the MTGO player or vendor that offered up the MTGO asset. That party must now find their own liquidity event and in a scenario where the MTGO exit is the most reliable one, you are likely to end up with very few sellers and a room full of buyers once the initial flurry of interest has worn off after the upcoming Phase 2 platform launch. The end result? We’re right back where we started with too many users waiting around to turn their PP into something valuable. Let’s walk through a potential future where Puca solves the “pucaflation” problem and have developed reliable sinks to control inflation and learns how to encourage active traders. What happens if the number of PP drops so low that the sinks actually cause some deflation and pushes the PP closer to $1? This would in fact be a great problem to have. First people will always be able to buy points from PucaTrade so it will never go above $1 (see the MTGO Tix). Second, points can easily be infused back into the system by offering discounted points or rewards for the behavior you want. Imagine if the PucaPoint was stable at .95cents and they offered a PP bonus for placing 4+ trades in a month..These kind of opportunities would encourage trades so long as you have the proper PP sink in place you prevent the value of the PP being deteriorated by the increased supply. Being able to facilitate trades between distant traders is an incredible service in the world of Magic: The Gathering and should be preserved. To secure their future, PucaTrade must restore the lost brand equity and faith in their currency through the effective management of inflationary pressure within their platform, through the smart retirement of the PucaPoints supply. Note: We have done our best to properly represent the PucaTrade facts based on the information at hand. We welcome any and all clarifications, corrections, and missed logic that may help to better this article for the good of all. Bravo, great article. Puca is a disaster at the moment and this is exactly the kind of advice they need to follow in order to right the ship. Great read, there are parts I agree with and other I do not. My biggest fear is that the growth of mtg finance has given birth to a new form of financier: buyout specialist This would be like this Craig Berry guy. He is forcing hard spikes on cards that do not have the supply to truly rebound back, and forcing players to spend commonly twice the prices to find them. My only hope is to combat this potentially game breaking issue, that wizards finally does something proactive about removing the reserve list, as it is the only way to control how this financial magic bubble is going to burst. I appreciate the support, but must divulge that my next article will likely be about why card spikes are both natural and non-threatening to the game as a whole, despite how frustrating they are for pockets of players seeking specific cards. This has nothing to do with this article. Stop your brainless ranting please. Wow! If the owners of PucaTrade would argue against your analysis and suggestions, they are either too greedy or too stupid to be in business. If I had the capital, I’d stake you to build the better platform and accelerate PucaTrade’s demise. Thanks for your effort! Glad you enjoyed it. The article is a work in progress given its length, but by the time we’re done updating it, we hope it will be a useful benchmark for some time. They will argue, because of a simple reason: A man who is paid for not understanding, will not understand. There are already better platforms out there. In Europe, MKM is basically the dream platform. It is a platform that runs on real currency, but with much lower fees as TCG for example. Wow. Great article. Hope the PucaTrade owners read it. So pucatrade is functioning the same as if you were at a GP? I don’t have a pucatrade account but friends have suggested it to me. I enjoy articles that explain these systems in more detail. At a GP you sit down and look through another person’s cards, seeing what they have available, and asking what they want from what you have available. You exchange cards with each other, using TCG mid to determine the card values. You do this many times throughout a GP weekend, obtaining a bunch of cards you didn’t have at the beginning. Then you go to a vendor at the GP and sell what you want for about 60% of TCG mid(if you are selling more than just the hot list cards). You “cash out” at 60% of TCG mid and gain the liquidity of US dollars. You have at most 5k people to trade with at a GP and 200k people to trade with on puca trade. You can much more easily look at peoples “binders” on puca trade cause everything is listed instead of having to ask every person every time you sit across from them at a GP. The risk at a GP is trading for a bunch of cards that suddenly become unpopular or unwanted because they underperform, everyone else is getting rid of them as well, vendors just arent buying them, or they get a reprint announcement. The risk on pucatrade is people stop using the site to make trades and you are left with pucapoints that cant be turned into anything else. You have no cards, no cash, and points that are not good anywhere else. You can’t see what another trader has for you as easily as you think. If I could go to every trade that has a Cavern of Souls and ask them for it, I would, but alas, it sits on my Wants list with no interest. Tradecardsonline is better for trading, as it has matchmaking built in. Available to free users, but much easier to paying memebrs. It has majority of Spanish players. For more games too! If I could just go to a large approved vendor to send them my points for what is in their supply directly, I’d be happy to. I wouldn’t need to put a bounty on dual lands or fetches. I don’t send out much at this time because, their isn’t any value to gain for me. I want certain cards, and certain foils. I have to pay real money to ask for foils. A big problem for lots of “buyers”, cause you may not even get what you ask for before your sub ends. My sub ended and all my foil wants reverted to nonfoil wants. I was panicking and had to quickly remove them from my wants before someone sent me them nonfoil. I could put in my profile I want foil this or foil that, but hardly anyone reads a profile. Let me get foils just as easily as nonfoils, and I’ll start sending out again. If they want to remove points from the system, let people buy boxes with them. Directly from Pucatrade. Not to another trader. This gives us something of potential value that has a little tiny cost to the overall scheme. $100 on the box & shipping for $120 pucapoints is a fair deal. It moves points and makes people want to move cards. This was great. I agree that puaflation is real and think that you identified one of the causes. Easy fix for this: as long as site is growing the creators can lower/stop signup bonus. They could instead facilitate discounted transfers of points from existing users: I.e signup buy points at .5 on $. I also think that there are some core issues that will keep the PP point from ever stabilizing at .93 and will keep the currency volatile. First is natural cycle of magic. You linked devaluation specifically to GP Vegas but Mtg slows down in summer and player base growth as a whole has slowed or stalled around summer 2015. the convergence of those 2 trends means less real demand for cards (particularly standard which is what keeps puca running) which translates across to puca platform and causes slowdown of trades and more people looking to exit into cash. Second and possibly more important is the price peg on PucaTrade To tcg mid. Most users on PucaTrade want to trade up. They take standard legal cards w inflated prices and send them out then list older cards that they want. This is evidenced by the fact that you can get almost any standard legal card in a short period of time without a bounty but need to wait long periods and offer bounties for eternal staples. This is because all the standard cards are extremely overvalued by the site. Unless you are a retailer there is no way to get tcg mid for standard cards. At best you look at tcg low -fees or eBay – fees or buylist. By contrast, high value cards can be sold closer to mid (or at least traded in the real world for a premium). Thus because everyone has a goal to trade up, then finds they can’t get cards they want at pegged price, they look to exit via selling points and take a bath. To do it because the point buyer market is even narrower than the high value card market. Bottom line: the puca peg should more realistically be stuck to buylist prices or somewhere between that and tcg low. The discount on points to $$ reflects how much those cards are actually worth to vendors and always will because if it rises there will be arbitrage opportunities. I really like the idea of using Pucapoints to upgrade your account to a silver or gold member. It’s a great way to remove points from the system and get the benefit of an upgraded account. I can see Pucatrade owners not liking this option though because this is probably their biggest source of income. Let’s face it, they need to make money somewhere. My suggestion would be to do something similar to what other companies do that have ‘points’ and maybe charge more vs paying with cash for the membership. An example would be to upgrade to a silver account is $45 but if you use points it would cost you 9000 Pucapoints. Then there is incentive both ways. Great article – suddenly monetary policy is much more interesting when it’s couched in terms of MTG. Would it be at all practical for the site to give me a membership if I give them a bunch of points back? I’ve always wondered why I can’t give some amount of points back to the site in return for a Silver membership. I get that this is a large part of where their actual revenue comes from, but it seems like they could retain some users and reward them for being active this way. nit: interest is ‘piqued’, not ‘peaked’ (i.e. “unlikely to pique their interest” not “unlikely to peak their interest”).